Millennials are getting older. This means college enrollment marketers should be shifting their focus toward Generation Z. If your enrollment team does not already have an email address list for this generation, it should. This generation makes up around 24% of the US population, more than Millennials, Gen X and Baby Boomers combined. They also have an estimated $3 trillion in purchasing power. This makes them prime targets for higher education enrollment marketers. Born between 1997 and 2012, Generation Z has different values than older generations. They grew up as digital natives and are distinctly familiar with navigating the world online. Gen Z is not familiar with a world without the internet and their consumption of information is done primarily through their smartphones. This gives them a unique perspective about the world that marketers must understand in order to gain their interest. Key tactics must be used to create personalized tactics for successful higher education enrollment marketing. 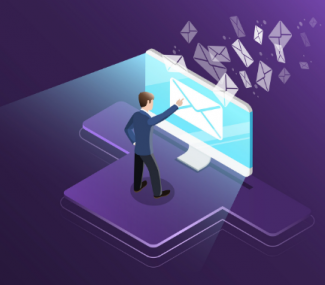 Two of best ways to engage this generation is using targeted emails campaigns and using smartphones as the platforms to deliver these messages. When it comes to higher education marketing, Generation Z expects universities to cater to them. They want to go to institutions that take the time to make them feel a part of their brand. Higher education enrollment marketers must work diligently as well as creatively, of course but on a practical level, they have to meet target students where they are at. Gen Z grew up with smartphones and are adept at using them. This means marketers must shift their focus to creating more engaging mobile experiences that resonate with members of Generation Z.
Email marketing remains one of the best channels for brands to communicate with their audience. In fact, 33% of Gen Zers prefer brand communication through email. Keep in mind, most members of Gen Z interact with emails through their smartphones. When it comes to email marketing, it is imperative that designs are made that are mobile responsive. Mess up a mobile email design and expect members of Gen Z from your email address list to lose interest fast. They are quick to judge and will stop interacting with a company if it fails to meet their needs. Gen Z has never known a world without the internet. They have constantly had access to information their whole lives. This gives them a unique advantage over other generations to vet information. They can almost instantaneously decide whether they believe a certain piece of content, find it interesting or whether they will engage with it (or not). They apply these same principles when deciding what university to attend. Enrollment marketers must work hard to authentically personalize their enrollment marketing. Gen Z wants to be wanted, and they will respond positively when they feel that from your marketing. Colleges should focus on creating personalized messaging that relates to unique talent and interests of their email address list targets. 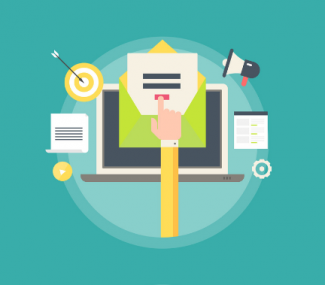 Specifically, enrollment marketers can do this through email marketing. Segmentation allows marketers to divide its target audience into likeminded groups. For example, segments can be divided into interests, academic level or location. 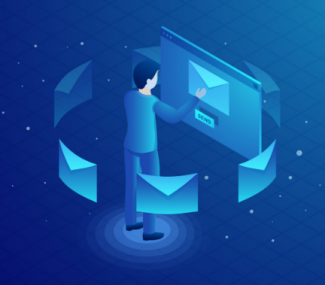 Once the target audience is segmented, then marketers can create tailored email campaigns that will resonate with its target audience. Marketers can expect more success with personalized campaigns than broad ones. Marketing is not always easy. It can be difficult to reach the right audience and do it in a way that will resonate with them most effectively. By creating personalized email campaigns that reach Gen Zers where they interact, they will be more likely to interact and resonate with your university. Through these tactics, higher enrollment rates will be achieved. If this seems like too daunting of a task for your university staff, leave it to the experts. 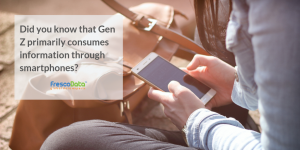 With FrescoData, you can buy email database with information about Gen Z. We also offer email marketing services that can help your enrollment staff meet its needs. With our services you can focus more on what you’re good at, and leave the rest to FrescoData.